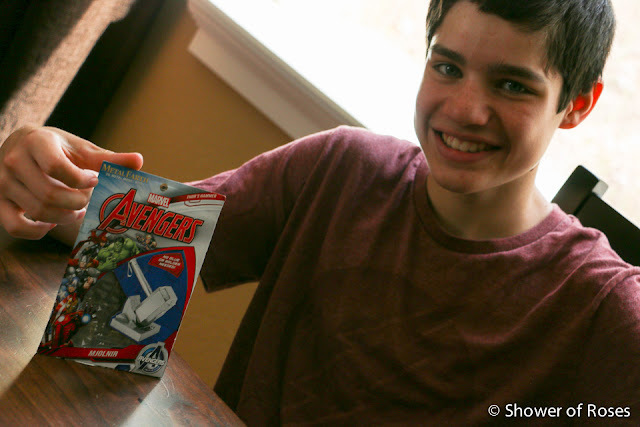 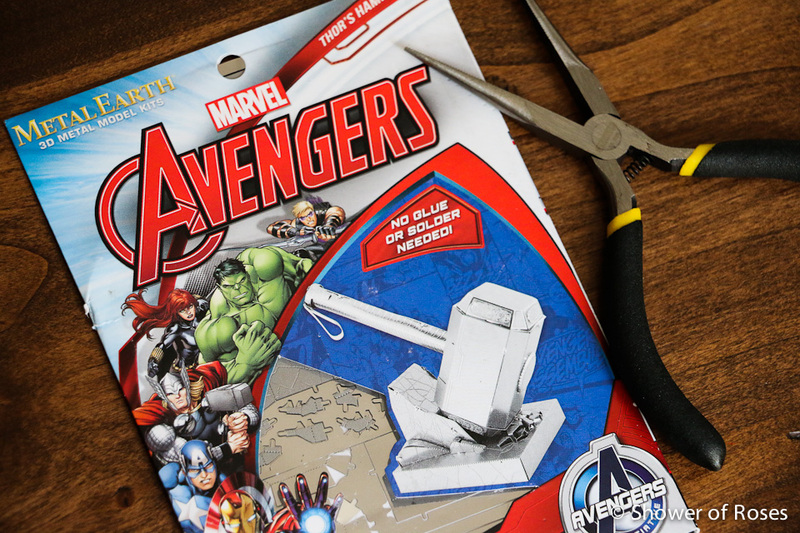 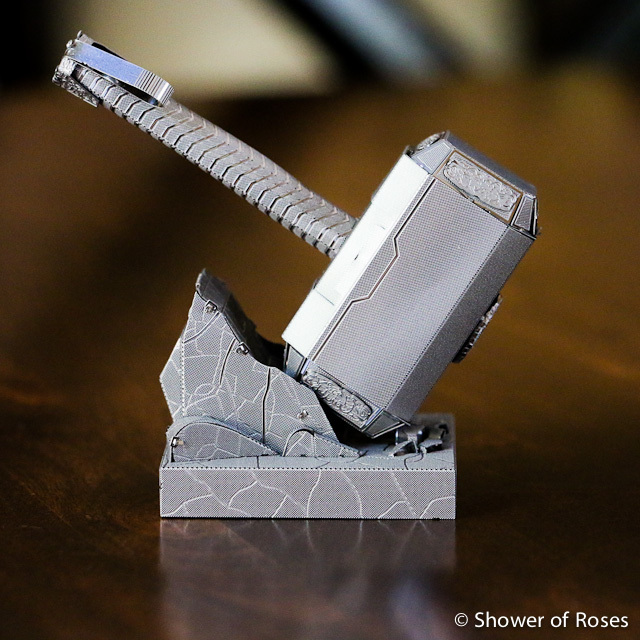 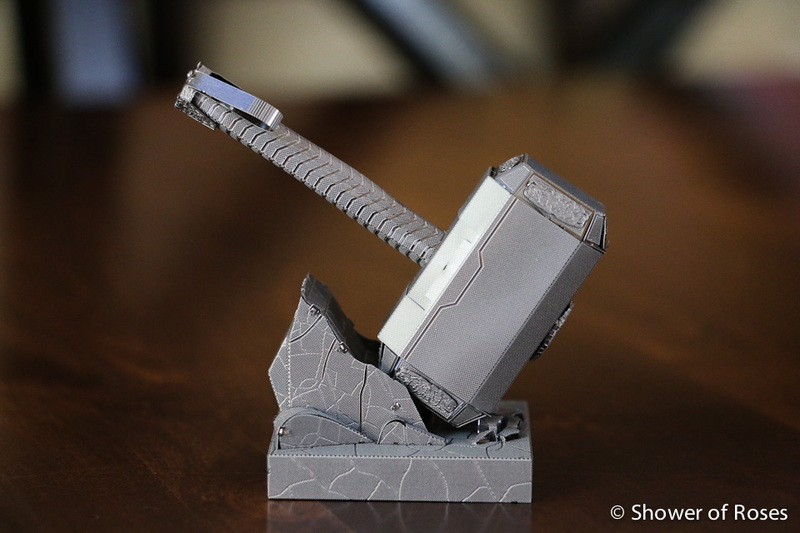 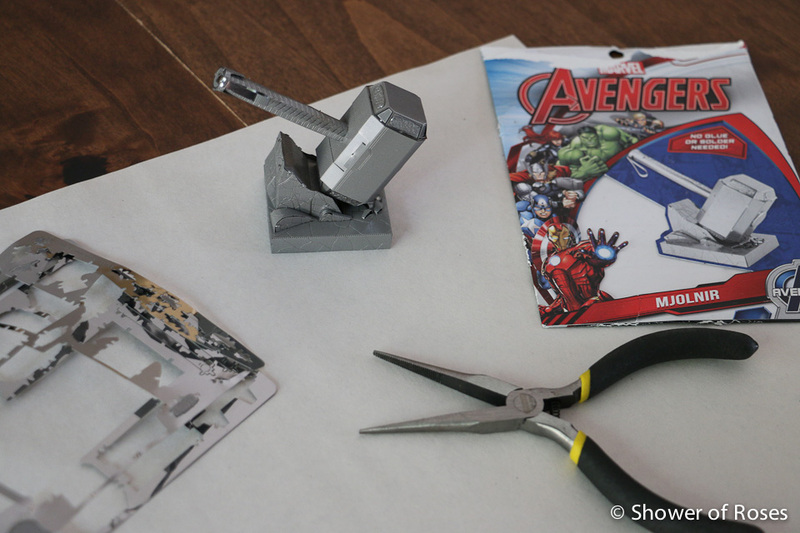 As soon as our summer break began, Ranger pulled out some of the gifts he had been saving, from his Thor Birthday Party and this year's Easter Basket, including the Metal Earth Avengers: Thor's Hammer. 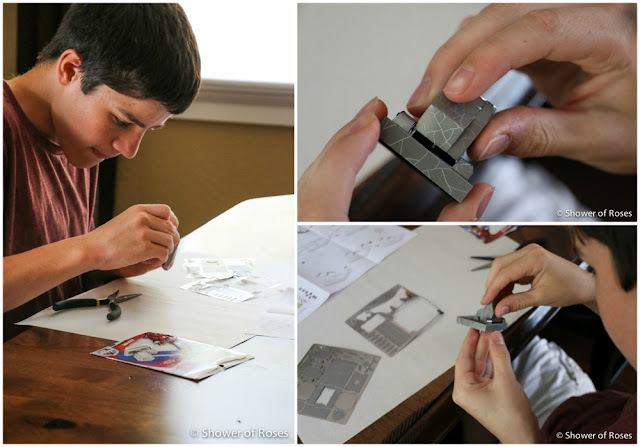 He loves assembling these little models and has quite the collection. 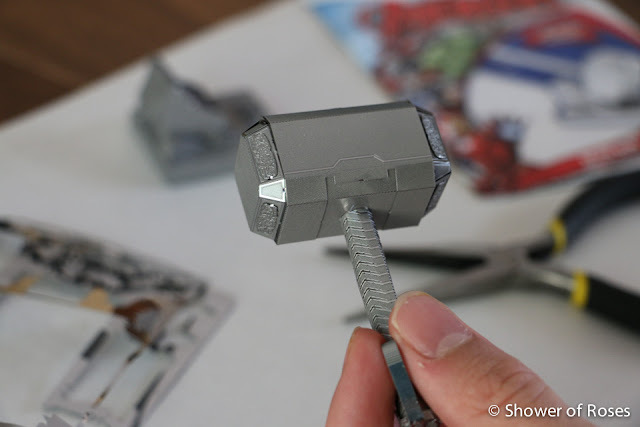 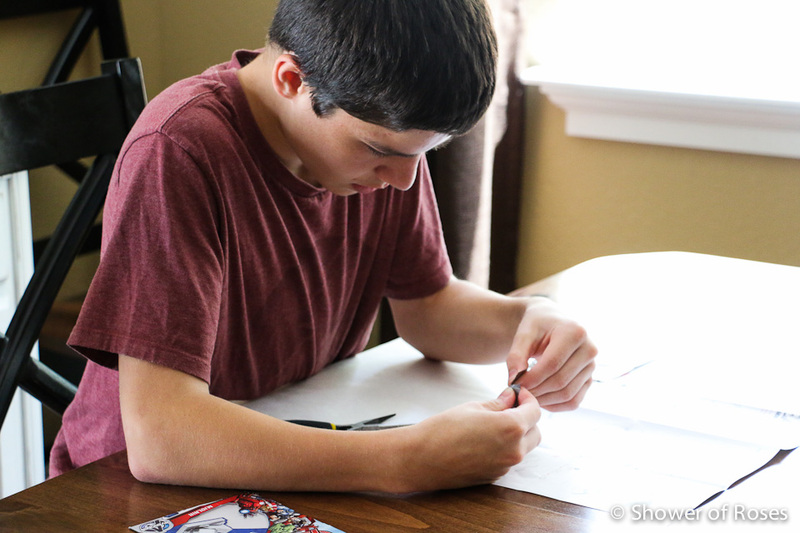 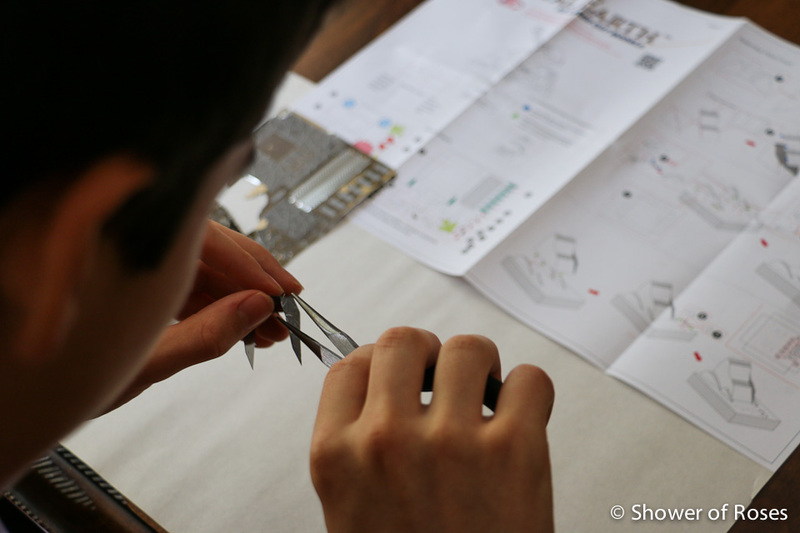 Of course, he had to make sure he was wearing his Thor t-shirt for this particular project. 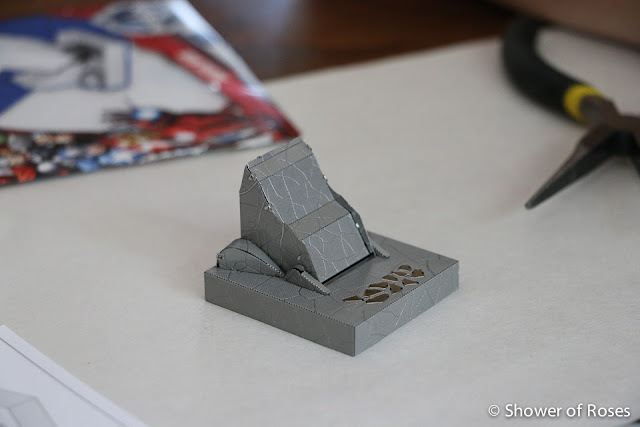 I also purchased Captain America's Shield for our "Captain" which will probably be another upcoming summer project.